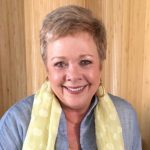 Connie Baker is the executive director of the Wong-Baker FACES Foundation and the co-creator of the Wong-Baker FACES® Pain Rating Scale. Through her foundation work, she enjoys communicating with people around the world who are improving the experiences of people facing health challenges. As the host of the FACES of Pain Care podcast, she interviews experts in pain care and atraumatic care, to further the mission of the foundation of promoting excellence in those areas. Shining a virtual light on people and programs making a difference in healthcare is a highlight of her work. In her life journey, she has spent considerable time learning about the healing process and how we can support our bodies as they heal, through nutritional support and complementary care. This has led Baker to become a Certified Healing Touch Practitioner and a licensed HeartMath® provider. She is also an avid proponent for the use of essential oils and nutrition to support our emotional and physical well-being. This is valuable for the patient, as well as the caregiver. You can learn more about the HeartMath program at Caring from the Heart or visit Connie’s Live Beyond Survival website. Early in Connie’s career as a child life specialist, she had the incredible opportunity to get to know and be mentored by Dr. Donna Wong. Both women were concerned about the void of adequate tools to help children communicate about their pain. Subsequently, the pain was not understood or managed well. They embarked on years of researching and writing, with a lot of great help from children and colleagues. The result is the Wong-Baker FACES® Pain Rating Scale, now used with people ages three and older, around the world. Soon after Dr. Wong’s death in 2008, Baker and colleague, Dr. Lynn Clutter, talked about ways to honor their friend and mentor’s legacy and to continue the work Wong and Baker started years ago. This led to establishing the Wong-Baker FACES Foundation. Dr. Clutter is Vice President of the foundation board, serving with other outstanding healthcare professionals and friends of Baker and Wong’s. Baker is an inspiring speaker in the medical community, addressing patients, caregivers, and healthcare professionals. She offers a range of practical techniques for pain care and minimizing anxiety in medical settings. Baker, a natural storyteller, infuses her talks with humor. She engages her audience in ways that move them from being passive spectators to active participants. Her compassion and knowledge empower audiences to make a difference in the lives of people experiencing pain. 2017 brought a new diagnosis of breast cancer, followed by surgeries, radiation, and chemotherapy, along with a whole host of complementary care to support her body during the process. After years of providing care to others, Connie became the recipient of care and all that entails. This experience has been a rich opportunity to understand the health challenges from the patient’s point-of-view, further informing the work she is doing through the Wong-Baker FACES Foundation and Live Beyond Survival. For more information, email Connie at ConnieBaker@WongBakerFACES.org.